TAMPA, Fla. — It has been three years since the state of Florida has added a 'wrong way' sign in the Tampa Bay area, but this coming summer they will have additional funding to add more of the ramp detection signs. The state also has several other ideas they are evaluating to help detect wrong-way drivers, but part of the underlying problem is driving while drunk, they say. In our Driving Tampa Bay Forward series, ABC Action News started asking the state when the last wrong way detection sign went in and why. We found that without funding it has been hard for the state to allocate the funds towards the signage, but they have secured $300,000 that they will be able to implement after July 1. Right now there are 16 flashing wrong way detection devices at exit ramps to warn motorists if they're going the wrong way. Kris Carson, spokesperson for FDOT's District Seven says they are also considering signage that would be on the back side of a highway overhead monitor board. "FDOT is continuing to study and implement technologies/devices to help with wrong way drivers," she said by email. Carson said they did a three-year pilot study along a portion of I-275 near the USF area and found that the three drivers who went on the ramps the wrong way successfully turned around without injuring anyone. ABC Action News asked Florida Highway Patrol how many wrong-way drivers there were in May. In Hillsborough County there were 20 calls for wrong-way drivers, that's double than May of 2017 when there were 10. Yvette Alexandre, 21, and her fiance was killed November of 2017 by a wrong way driver on Interstate 75 near the Gibsonton exit in Riverview. The driver going the wrong way also died. "It's a miracle I've gotten this far," said her grieving father, Robert Alexandre. 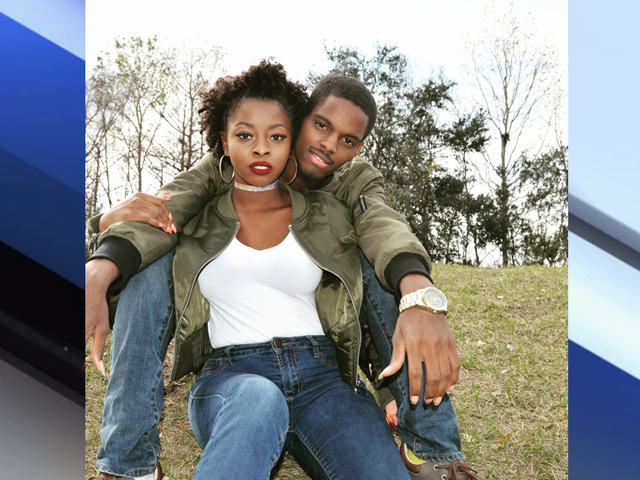 Alexandre and her fiance, LaShay Waiters, had just found out they were expecting their first child together before the crash. Investigators tell ABC Action News that they are still waiting for a final report on the crash, but they believe the driver made U-turn on the interstate to go the wrong way, rather than entering through an exit ramp. Alexandre has so many questions about his daughter's death and wants to know what's being done to prevent tragedies like this. The father of three tells us he doesn't get why there aren't more 'wrong way' markers on the actual interstate. He brings up, like on the back of the overhead FDOT signs that only a person driving the wrong way could see. "There are signs as you make the approach on to the highway, but if they make it past that, there's really no other indicator if you make it past that," he said. Carson with FDOT tells us they are actually considering signage like this, as well as a high-tech, thermal technology to detect mainline wrong way driver movements on the interstates. 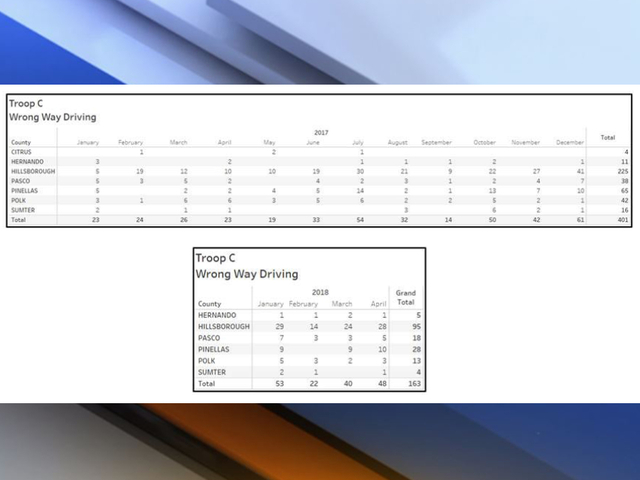 Although the high-intensity crashes are seen on our interstates, according to data from FDOT majority of the arrests for wrong way drivers were off the interstates -- near the downtown area of Tampa. As of now, FDOT has not said how many more detection units they will be adding with the funding they have secured.